Heat oven to 350°F. In large bowl, mix sugar, butter, yogurt, egg and vanilla. Stir in remaining ingredients. Drop dough by rounded tablespoonfuls about 2 inches apart onto ungreased cookie sheet. Bake 11 to 13 minutes or until almost no indentation remains when touched. Immediately remove from cookie sheet. Quick-cooking and old-fashioned rolled oats work equally well in this recipe. Quick-cooking oats are simply old-fashioned oats that have been ground to a finer texture. 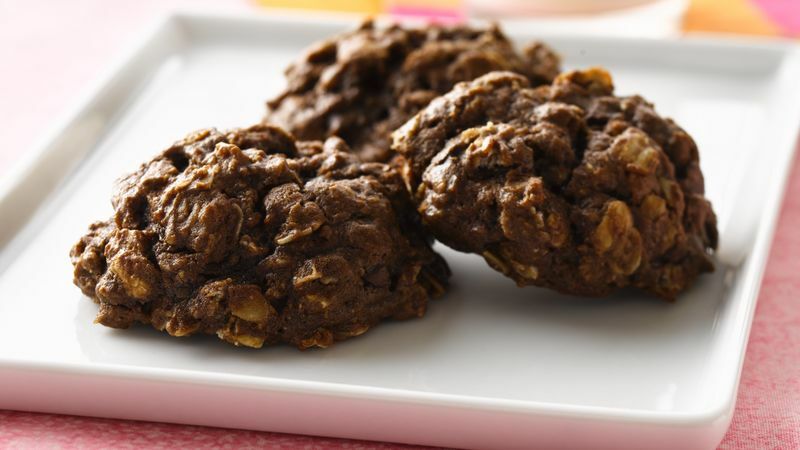 Use the old-fashioned oats if you prefer chewier cookies.